Distance around the 3 legs at the top is 44 cm, so any size starting from this or larger is fine. Material: DPM Waterproof Nylon Camo, Olive Green or Black. Foam thickness 1.5 inches firm density.the material is also lined on the reverse. Shoulder pad for use with a Gitzo GT 3530LS & Gitzo GT5532LS Tripod, or any other large Tripods. A Wimberley Head or a Manfrotto 393 head can be used (Manfrotto 393 in photos) all Gimbal heads also will fit. This shoulder pad is designed for the larger Tripods. Will also fit any other make of tripods of the above size, the photos show a Nikon 600 F4 with a Wimberley head and other photo shows a Canon 500 F4 with a Manfrotto 393 head bracket. Distance around the 3 legs at the top is 44 cm, so any size starting from this or larger is fine. 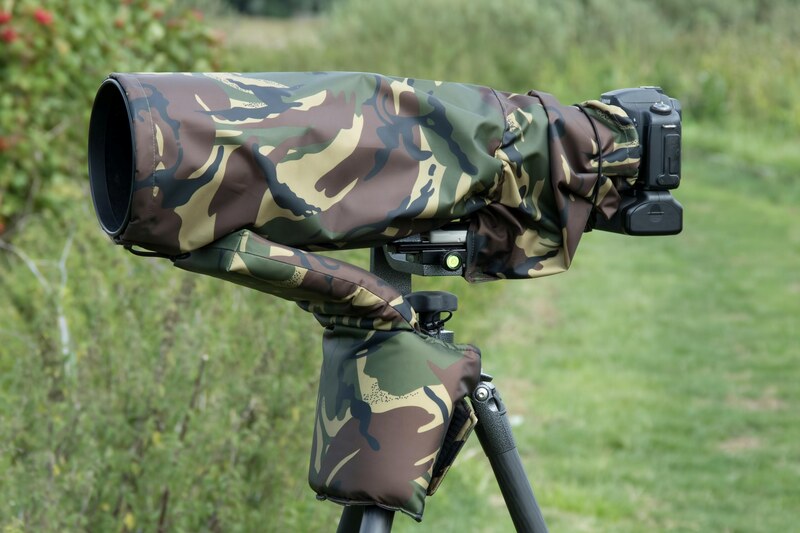 As in photos it shows that this shoulder pad can be wrapped around only 2 legs if needed, this is to quickly get the tripod on to the ground to take photos if wildlife suddenly appear, or it can be wrapped around the 3 legs for total support. The tounge can also be doubled up and tucked in when in use when the 3 legs are open, this doubles up at the top of the pad. Free 2nd Class Signed for to UK 1-3 Days Delivery. For World Purchase: we Ship/Post to Europe & Worldwide. Use drop down bar below, to choose colour, then click on buy now to purchase. PayPal - The most popular online payment method. We are fully PayPal verified so you can always shop with peace of mind. Credit or Debit Card - Buyers can pay by direct payment gateway.